It's time to start thinking about 2015 fantasy football and some leagues are already drafting. There are a number of exciting rookies that can't be overlooked going into 2015 and some of them will have instant impact. Kevin White (WR, CHI) - as everyone is aware Brandon Marshall went to the New York Jets and it left a bit of an opening with Alshon Jeffery and Marquess Wilson at WR. White is an exciting WR at 6'3" (everyone knows I love tall WRs). Kevin White has the potential to put up the most fantasy points among all WR's and RB's in 2015. He found a spot that he can make an instant impact on a team that will have no problem throwing the ball. Alshon will draw double coverage and White will have many chances on single coverage. Expect over 1,000 yards, 5 TD's and many catches (PPR league owners will love this rookie). He is a top pick if you are in dynasty league PPR leagues. Amari Cooper (WR, OAK) - I am sure many people were disappointed when they found out Cooper was going to Oakland. Oakland has really rebuilt the team with young RBs, QBs, TEs, and WRs. Cooper will have plenty of options to see single coverage and if Oakland plays from behind Cooper could be a solid, garbage time, WR for fantasy leagues. Cooper has amazing talent and will also be a red-zone target. I like Cooper and he is an easy selection in dynasty leagues and presents nice upside to have him on your bench in redraft leagues. 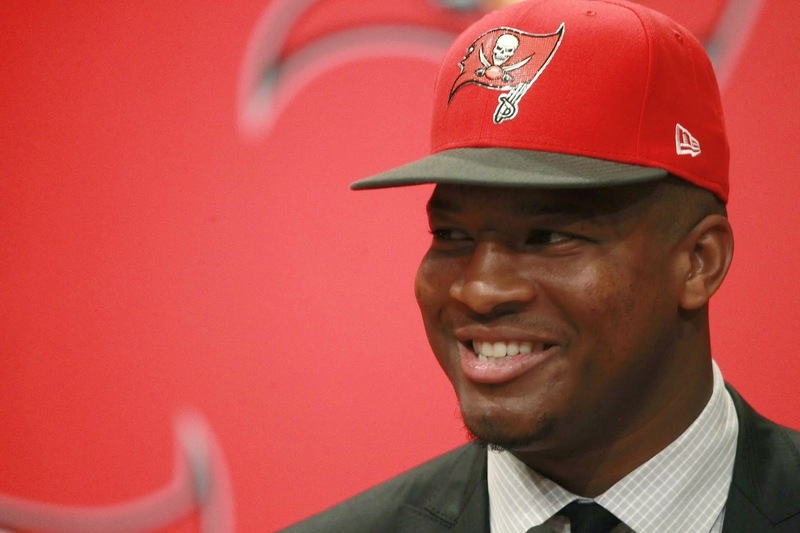 Jameis Winston (QB, TB) - Winston is going to be the start for Tampa Bay and will have many solid receiving targets. My worry with Winston is being smart with the football and not turning it over too much. It's always tough to find a rookie QB that will be top 10 in their first year. If you are looking for a back-up QB in redraft leagues with upside then stash Winston. Marcus Mariota (QB, TEN) - it's too bad he didn't end up in a better situation is what everyone has been stating, but honestly I think Mariota found a solid home in Tennessee. Coach Wisenhunt won't have a problem letting Mariota throw and run the football. He does have WR and TE targets to throw to and I am very excited to target Mariota in my dynasty and redraft leagues. Mariota has a good chance to really make a name for himself in 2015 and he is someone you can target in drafts. Melvin Gordon (RB, SD) - there is no doubt that Gordon is going to get the opportunity to run the ball in 2015. Gordon is the RB you should be targeting in redraft and dynasty leagues. He is in a situation where he can have instant impact and put solid fantasy points on the board. Gordon is the most likely rookie RB to be in the top 25 in redraft or dynasty leagues for 2015. Todd Gurley (RB, StL) - there is no doubt Gurley's injury will affect his 2015 production. I am only recommending him in dynasty leagues where you can stash him for 2016. For redraft leagues in 2015 he shouldn't have impact until the end of the season so he will be on your bench for a while before you decide to start him. There are other rookies to write about, but those will come in future articles. Are you looking for assistance with your 2015 Fantasy Drafts? Check out the Hatty Waiver Wire Guru Draft Guide.